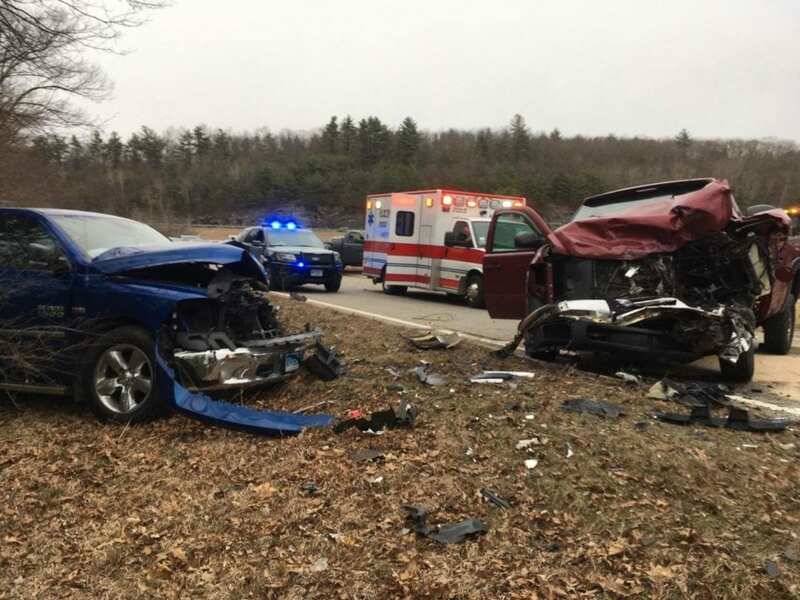 The exit 4 off-ramp from Route 395 to Sutton Avenue was blocked to traffic on Friday afternoon due to a serious truck crash. Oxford Police and Fire-EMS were called to the scene and transported 2 people to local hospitals with non-life-threatening injuries. The ramp has since re-opened to traffic. More photos of the crash are below. Photos from tonight crash on I-395 SB exit 4 off ramp. There were 2 patients transported to the hospital by Oxford FIRE-EMS with non life threatening injuries.